Apple's Mac Pro is quite an impressive machine. It doesn't look like any other computer; it's a work of art with its sleek, cylindrical body. It's fast, fast, fast. And it's expensive. The Mac Pro isn't for everybody, and not just because it's Apple's highest-priced computer. It is made to excel with a certain type of app: professional software that uses multiple processing cores, like software commonly used by videographers, photographers, animators, designers, scientists, and musicians. If that describes what you do on a daily basis, then you'll benefit from a Mac Pro -- you'll make your money back in time saved. 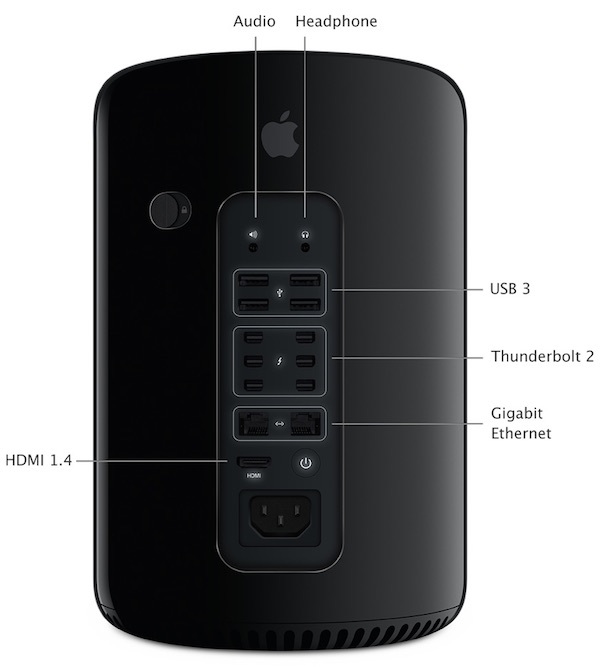 This guide takes a look at the Mac Pro's specifications, design, and performance. If you're in the market for a Mac Pro and you're not sure which model to buy, this guide will help you sort it all out. Apple offers two standard configurations. You can pick one of the standard configurations, but the Mac Pro is all about custom configurations. Think of the standard configurations as a starting point, and you can then customize your order to better suit your needs. As you can see, building a fully-loaded top-of-the-line Mac Pro can get expensive. Based on the add-ons you choose, your Mac Pro could cost up to $9,599. Get more details on the Mac Pro specifications in our roundup. You've probably heard all the talk about the Mac Pro being Apple's fastest Mac. It's true, for the most part. The Mac Pro is designed with multi-core processing in mind, and the Mac Pro does its best when using apps that can take advantage of multiple cores -- high-end video editors, 3D renderers, audio editors, compilers, and other apps used by professionals. The benchmarks prove this out. Several sites have published benchmarks that demonstrate the Mac Pro's multi-core prowess. 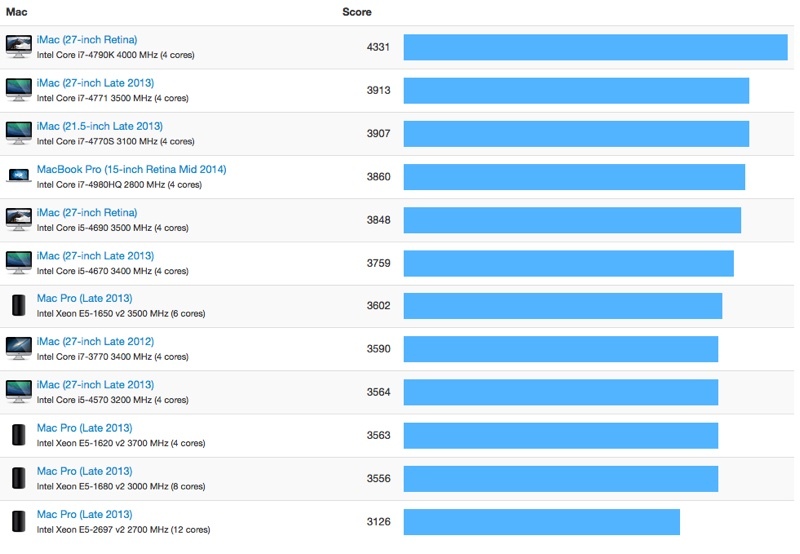 Geekbench 3 results show that in its 64-bit multi-core tests, the 12-core Mac Pro is unsurprisingly the top performer. The results also predictably show that performance increases when you have more cores. After the 12-core Mac Pro is the 8-core model, followed by the 6-core and quad-core Mac Pros. When buying a Mac Pro, it pays to upgrade the processor. Get what you can afford. AnandTech and Macworld have more details about pro apps and performance. The Mac Pro stumbles a little when it comes to single-core performance. Apps that only take advantage of a single-core include those that most general consumers would use every day -- email, browser, productivity apps, consumer level video and audio editors, etc. In fact, the iMac is a better single-core performer. If your Mac is an everyday general use computer and you have the desk space, you're better off getting an iMac than a Mac Pro. To get more performance out of your Mac Pro, consider upgrading the graphics cards. AnandTech's testing shows that some apps, like Final Cut Pro, take advantage of the two graphics processors in the Mac Pro, especially when rendering effects. However, there are apps (and most games) that aren't written to split compute tasks over two GPUs; one GPU is used for basic display duties, while the other covers the compute tasks, so there isn't a distinct advantage to a graphics card upgrade. If you work in pro apps, do some research to see if they can take full advantage of a dual graphics card setup. 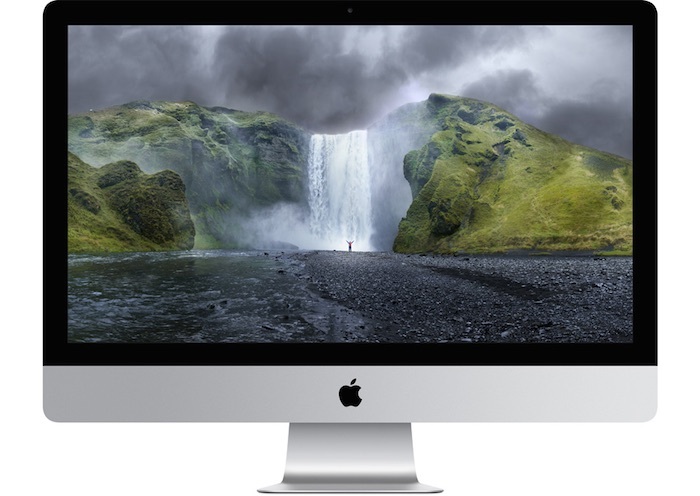 Apple released the 27-inch iMac with Retina 5K Display in October of 2014. 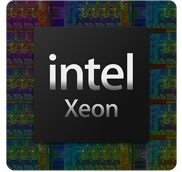 With its 5120 by 2880 pixel display, it seems like a desirable computer for pros. However, in multi-core performance, the Mac Pro is still king. In Geekbench multi-core testing, the 12-core Mac Pro is nearly 100 percent faster than the Retina iMac, while the 8-core is 55 percent faster and the 6-core is 27 percent faster. 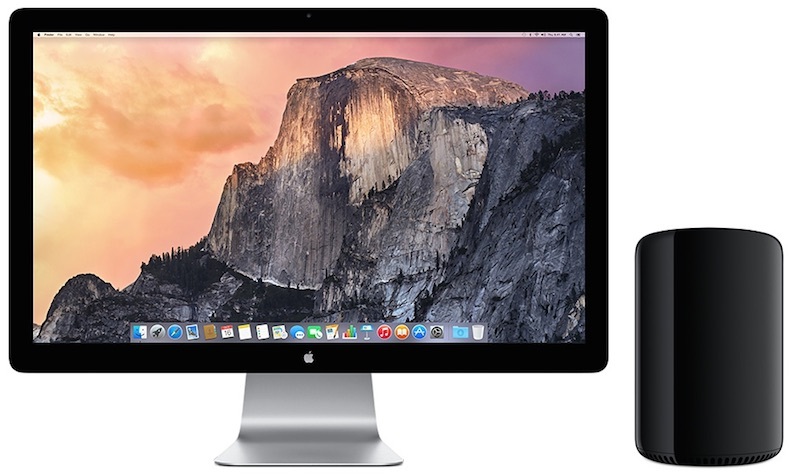 The Retina iMac does outperform the quad-core Mac Pro, by about 15 percent. 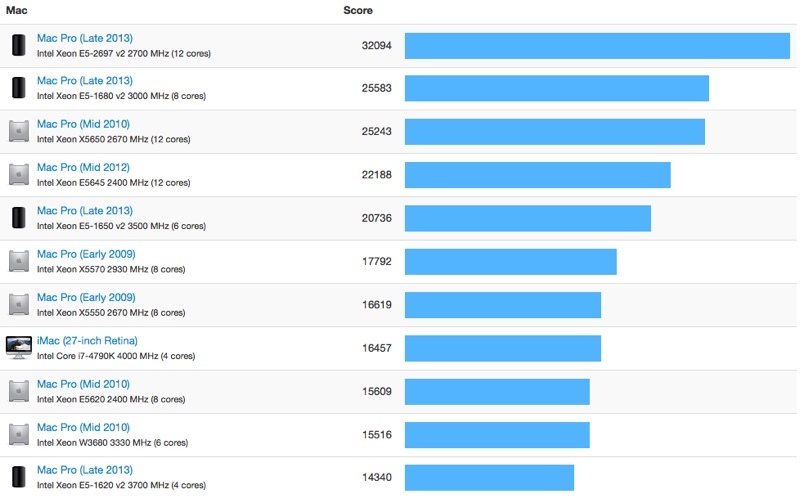 The Retina iMac does beat the Mac Pro in single-core performance, as you can see in the Geekbench charts above. Primate Labs, the developers of Geekbench, took a closer look at the performance between the Retina iMac and the Mac Pro. The Mac Pro doesn't have the ability (yet) to drive a 5K display, but it can support up to three 4K displays. Apple had to build a custom controller for the Retina iMac to support a 5K display, so if you absolutely need a 5K display, the Retina iMac is your only choice. If you're thinking of using the Retina iMac as an external display for the Mac Pro, you're out of luck. The Retina iMac doesn't support target display mode. Which Mac Pro should you buy? First, should you buy a Mac Pro in the first place? If you're a professional using high-end apps that can take advantage of multiple processing cores, then yes, a Mac Pro is the right computer for you. The Mac Pro is made for those kind of apps, and you'll be quite productive with such a machine. If you just love the design of the Mac Pro and have the money, who's going to stop you from buying one? It is, after all, the smallest headless desktop computer Apple offers that isn't crippled like the Mac mini. Just understand what the Mac Pro is designed to do. The more RAM the better is also a good general guide, so try to bump up to at least 32GB if you're going to be doing intensive work on the machine. Storage is one area where you might be able to skimp, however, if only because the Mac Pro maxes out at 1TB and professional level users are likely going to be using much larger external RAID drives for speed, data protection, and capacity. It is made to excel with a certain type of app: professional software that uses multiple processing cores, like software commonly used by videographers, photographers, animators, designers, scientists, and musicians. If that describes what you do on a daily basis, then you already know about mac pros and dont need a "buyer's guide"
Would the top spec machine run angry birds while playing an iTunes song? If so im on it!! The Mac Pro is a good buy for Final Cut Pro Pro-Res editing (software is tuned to those OpenCL cards). It can also be valuable for aesthetic purposes if you want to look cutting-edge to clients. For everything else, it’s not a very good value. For our normal sub-$4,000 stations, the 27” iMac far outperforms the Mac Pro, especially in single-core but even in multi-core (Mac Pro doesn’t give you many cores until the price tag jumps up). The iMac is great for video editing, sounds design, and iOS development. For our expensive stations where we need tons of horsepower (3D, VR, IMAX, Color Correction), HP Z440/Z640/Z840 workstations offer far more performance per dollar. You have more CPU choices (as well as v3 Xeons), and you can use monster Quadro cards or even GeForce if you’re willing to go outside qualification (I’m currently buying GeForce GTX 980s for their virtual reality latency-reduction features). Since almost every pro app we use is OS agnostic (Avid/Pro Tools/Unity/Adobe/Maya), I go with HP to give users the most power. Given what Apple has done to Shake, Color, and Aperture, I’m not sure why professionals are still loyal to OSX. I’m not an Apple hater, as I buy their hardware often. Just not for high-end use. I find the Mac Pro to be a strange beast, so I highly discourage it outright in our environment. I'm also sad there's no longer a good hardware choice for a Mac server. I welcome feedback, as I try hard to consider every user when I make recommendations. Why are they doing a buyers guide for the 2013 nMP? God I hope it's to push the last stock before a refresh. Not really related, but has anyone noticed that they have been using Mac Pros as prizes on The Price is Right? What (average) contestant on that show needs a Pro desktop computer? I am still using my 2009 Mac Pro -- and honestly my huge regret is getting the 4 core version instead of the 8 core version -- in every other respect it is absolutely great. For one thing I can currently use 27 TB of internal data (4 x 6TB HDs, + 3 x 1TB PCIe SSDs). I am of course booting off one of the SSDs for Yosemite. Not to mention a SuperDrive + a Blu-ray disc. a little too late for this buyers guides article, no? I think an 8 core, 32 GBRAM, 1TB, D700's is the sweet spot if you can afford it. 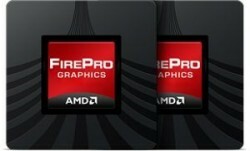 If not then the 6 core with same specs. Wouldn't it be best to wait for a refresh no matter what? This thing is from 2013. Depends what card you have. The D300 is not great. The D700 is insane. Also depends if the flight sim (which one?) is compatible 100% / takes full advantage of the card? But it's certainly cheaper to build a great gaming PC Than a Mac Pro. But well I'd happily do that for games. I certainly wouldn't want to work in windows. Well it might be compatible with 5k monitors - people have tested them an the current ones cheat. They require 2 thunderbolt cables direct from a machine as the monitors have 2 controllers and create a dual screen on a single if that makes sense. The retina iMac has a special controller they built as no single fast controller existed. I suspect the 2015 Mac pros will be 5k compatible and there will be some 5k screens... Hopefully 30" ! I remember a few tech site tried to build a comparable pc with the Mac pro when it came out and they concluded that the Mac pro is cheaper for the same performance. Did that change? D700s are nothing more than a HD7970 with ECC memory. You can get HD7970s off eBay for well under $200. The internals were already getting long in the tooth when this machine was released. PC world has already moved on to DDR4 and LGA2011-3 CPUs. I do appreciate that the machine looks amazing and is whisper quiet, but its far from a good deal in 2015, and good looks dont pay the bills when i can get a far more powerful pc build for the same price or even lower. Hopefully they can put some more pep in the refresh and keep these machines competitive for the coming years. Really don't want to see another wait like we did between 5,1-6,1 Mac pros. "software commonly used by videographers, photographers, animators, designers, scientists, and musicians." Not if you have an Adobe based workflow such as After Effects. Adobe is all Nvidia based now and AE can't even use the dual AMD graphics cards so they have no use. Not to mention it isn't multithreaded and needs a single, fast core instead of multiple cores with slow clock speeds like the MacPro. And models with 256Gb storage? On a supposedly pro machine?